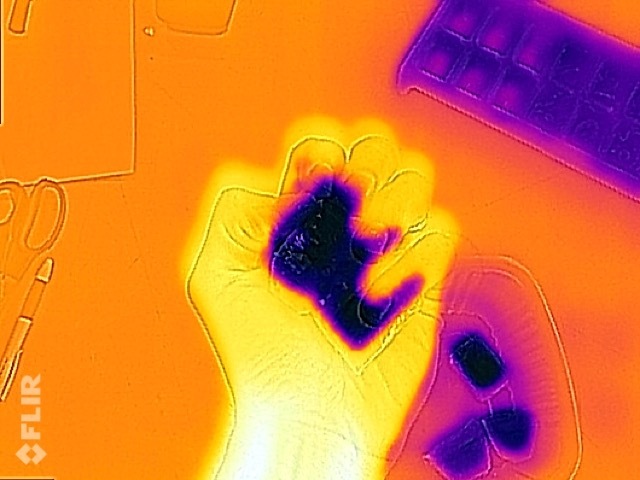 Yesterday the Science Center received in the mail its very own infrared camera! 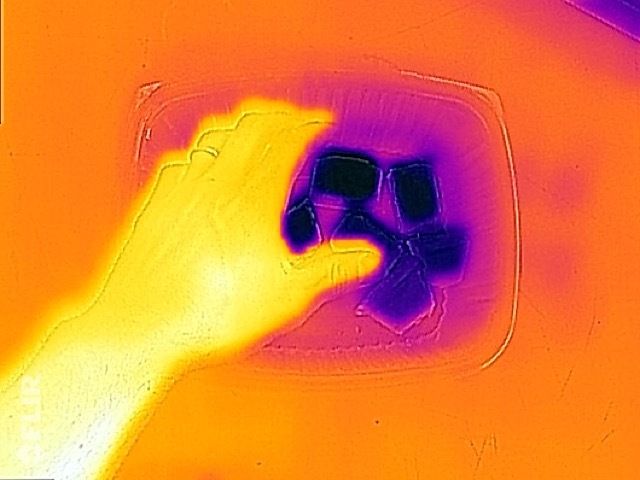 An infrared camera is designed to collect infrared, or “heat” energy as opposed to light energy most cameras collect through their lens! The FLIR One camera attaches to the back of any iPhone 5 or 5S and can be wirelessly broadcast to screens and projectors with the help of an Apple TV device. All of these tools were made possible with the help of a grant from the Burlington Education Foundation. As the grant writer, Mr. Musselman has been busying “play-testing” the tool to determine its full capabilities and potential for classroom demonstrations and instructional videos across the K-12 curriculum. The camera comes with photo and video capabilities. Check out the pictures below to see just how versatile the camera is and how it may potentially be used in our classrooms moving forward. 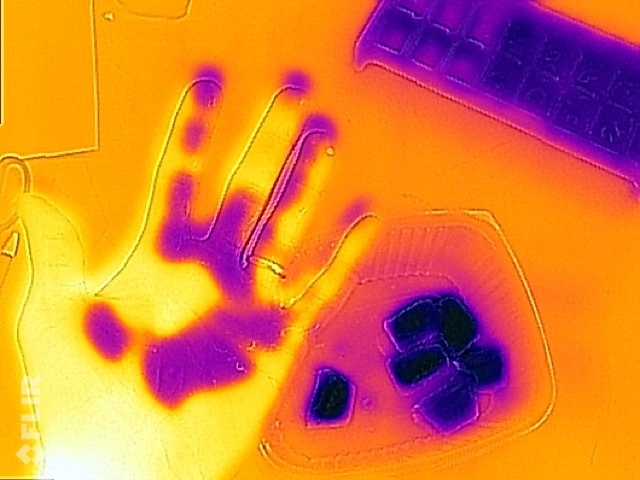 If you have a suggestion, or a question you’d like to have explored by the Science Center and its new camera, please let us know in the comments section below or on our facebook page and infrared camera post! 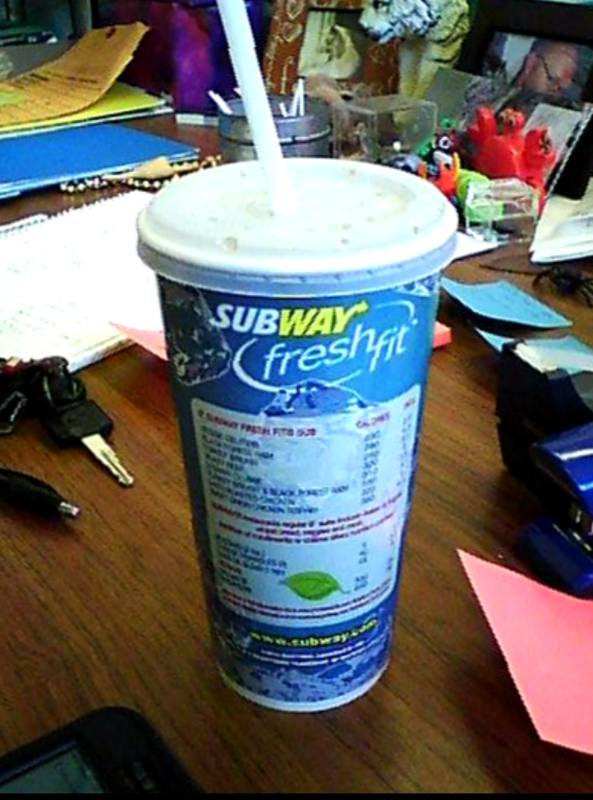 How much cold soda is in this paper cup? 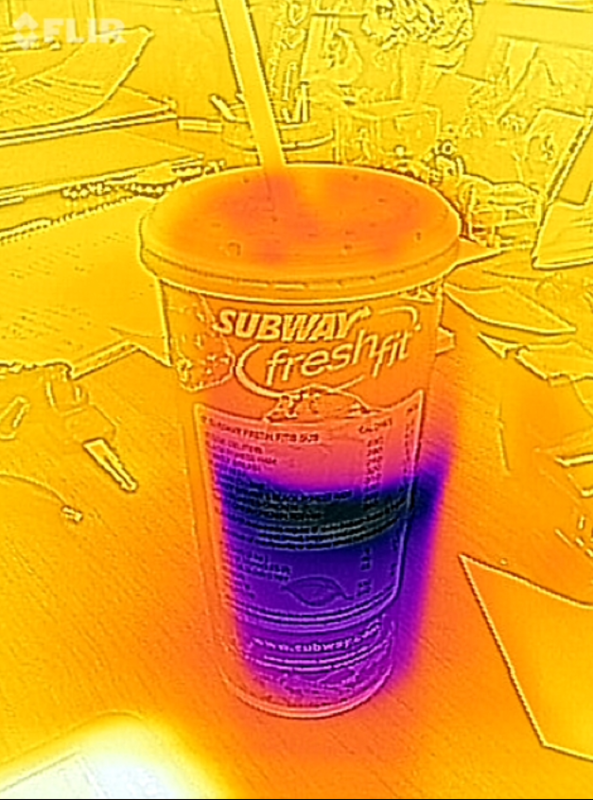 Our IR camera knows! Dark colors = cold temperatures! 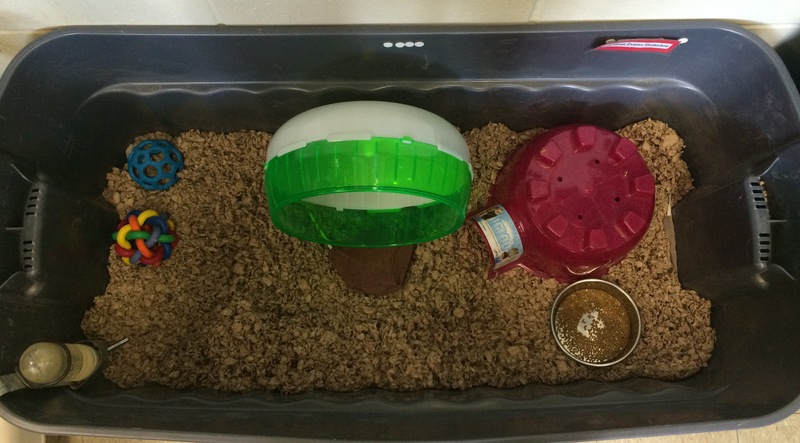 Where is the hedgehog hiding? 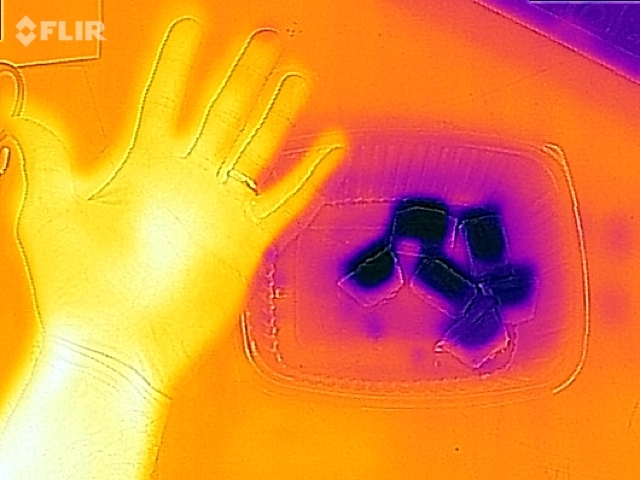 Her body heat radiates right through her plastic home! 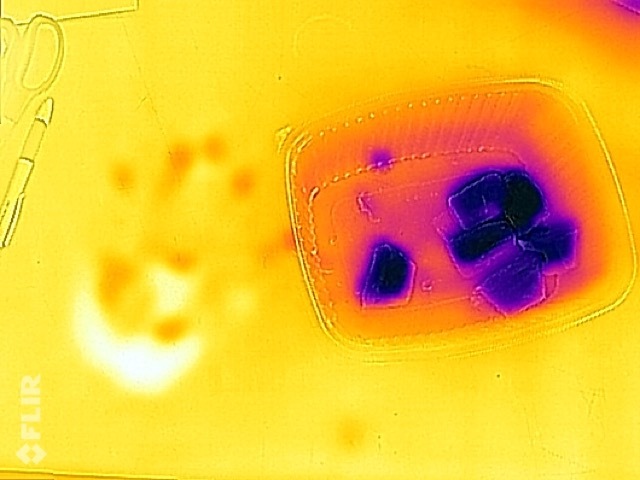 Why is the turtle so tough to spot in infrared? Turtles are cold-blooded! That means they have the same temperature as their environment. 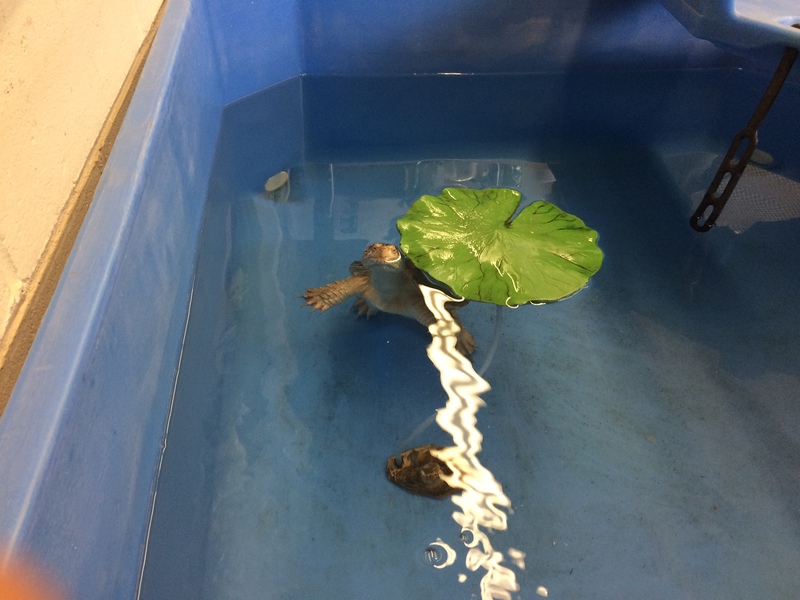 No wonder turtles love to sit out in the sun! 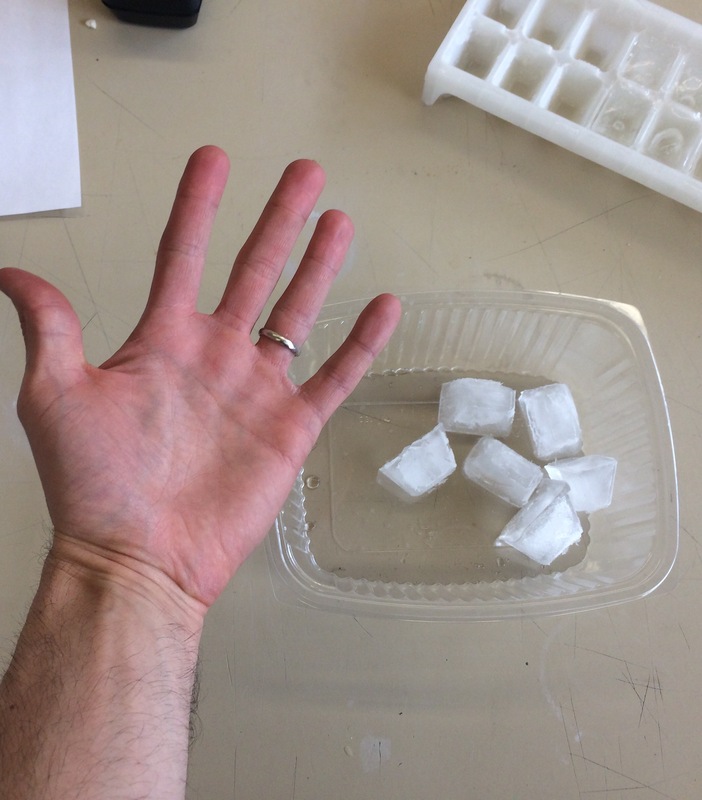 What happens to our hand temperature when we hold on to ice cubes? 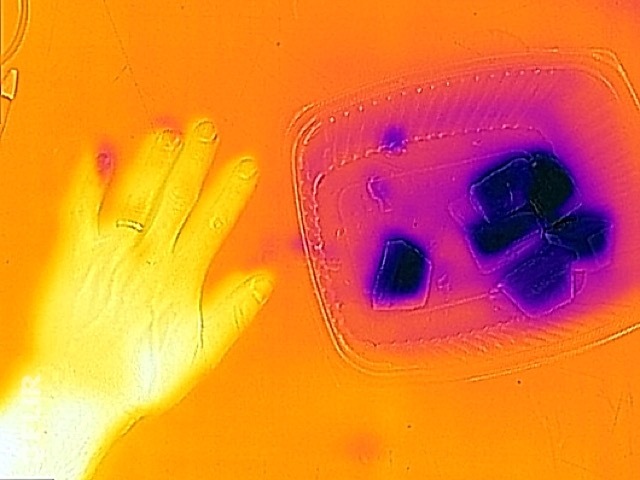 Our hand and ice cubes in infrared. Holding on tight for 30 seconds. This hurts! Why are my hands purple? What happens if I put my hand down on the table? Now the table surface is cooler too! This video was a first take with our new camera. 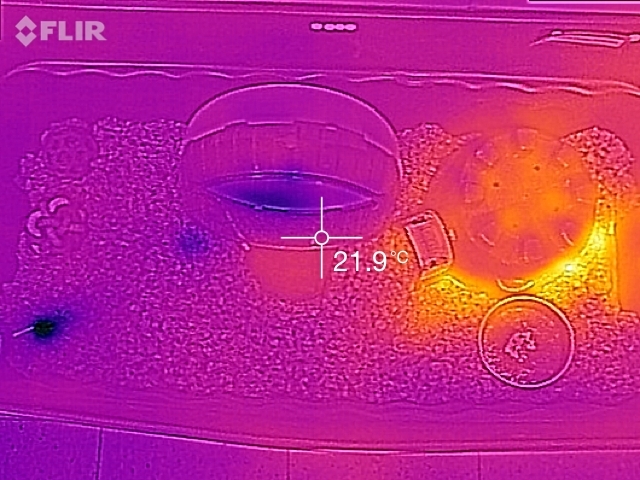 I realized later the camera can be oriented in landscape so the temperature can be read more easily and the color spectrum can be “locked” so that the temperatures do not appear to keep recalibrating to use the whole spectrum. You can also change the color scheme from “iron” to “lava” to just about everything in between. The Science Center can’t thank the Burlington Education Foundation enough for their continued support. Last year they purchased a wonderful new Weather Station and they continue to encourage us to submit proposals in the future. The BEF is a wonderful resource for the Burlington teachers and schools and we encourage all community members to continue their support of this great organization!